Carolyn Hansson received her B.Sc. and Ph.D. in Metallurgical Engineering from Imperial College, London University. She has lived and worked in the UK, the USA, Denmark and Canada and has been employed in private sector research (Martin Marietta Research Laboratories – now Lockheed Martin – and AT&T Bell Laboratories – now Lucent Technologies), a not-for-profit consulting company (the Danish Corrosion Centre) and in academia (Columbia University, the State University of New York at Stony Brook, Queen’s University, Kingston and the University of Waterloo). Dr Hansson is currently a member of the Executive Committee of the Board of Governors of Acta Materialia Inc. She is also a Professor in both the Mechanical and Mechatronics Engineering and the Civil and Environmental Engineering Departments at the University of Waterloo. She served as Vice-President, University Research at the University of Waterloo from 1996-2000 and was responsible for facilitating the research activities of faculty members across all disciplines of the university. She has also served on a number of professional boards and committees including the Natural Sciences and Engineering Council of Canada, the Minister’s National Advisory Council for CANMET, the US National Materials Advisory Board. She is a licensed Professional Engineer in Ontario and a Chartered Engineer in the UK. 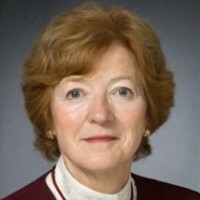 She is a Fellow of the Royal Society of Canada, the Canadian Academy of Engineering, the Danish Academy of Technical Sciences, the US Minerals, Metals and Materials Society, the UK Institution of Materials, Minerals and Mining and the American Concrete Institute and is the recipient of a number of professional awards.